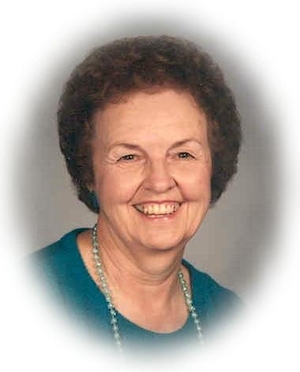 Obituary – Stevens, Lillie May (Tate) « Perry High School Alumni Association, Inc.
Red Hots ’44-’47; Librarian ’45-’46; Y-Teens ’46-’47. Lillie May Stevens, 79, of Perry, Oklahoma was the daughter of Edgar W. and Alice Beulah Christensen Tate. She was born September 5, 1929 at Perry, Oklahoma and died Tuesday, December 16, 2008 at the home of her son and daughter-in-law in Perry. Lillie May was a life-long resident of Perry. On September 26, 1947, she and Raymond J. Stevens were married in Perry. Her husband preceded her in death on December 26, 1967. She was employed as a billing clerk and court clerk for the City of Perry for 30 years before retiring in 1999. Lillie May was a member of Christ Lutheran Church. Lillie May enjoyed spending time with her children, grandchildren great-grandchildren and special friends and was known for her love of animals. Funeral services will be at 10:00 a.m. Monday, December 22, 2008 at Christ Lutheran Church in Perry. Rev. William Metz will officiate. Interment will be in Grace Hill Cemetery. Services are under the direction of Brown-Dugger Funeral Home. Memorials may be made to Christ Lutheran Church in care of Brown-Dugger Funeral Home, 1010 N. 7th Street, Perry, Oklahoma 73077. 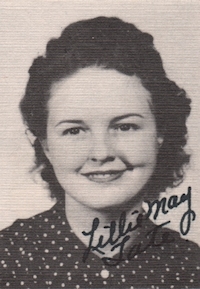 Lillie May is survived by one son, Billy Ray Stevens and his wife, Linda, of Perry, Oklahoma; three grandchildren, Justin Stevens and his wife Andrea, of Guthrie, Oklahoma, Carrie Schriever and her husband, Mike, of Colorado Springs, Colorado; and Laurie Sweeney and her husband, Michael, of Stillwater, Oklahoma; and six great-grandchildren, Colton Stevens, of Guthrie, Oklahoma, Jonathan Maupin, Rylan Maupin, A.J. Schriever and Brett Schriever, all of Colorado Springs, Colorado, and Trey Sweeney, of Stillwater, Oklahoma.